Ricardo Lockette, the Seattle Seahawks wide receiver, took a massive hit against the Dallas Cowboys on Sunday afternoon. According to the Fox broadcast, Lockette is now moving, and he has suffered a concussion on the hit. They said he’s got “full movement” in his limbs. Lockette appeared to be knocked out cold after taking a hit from Dallas Cowboys safety Jeff Heath. He was taken to the hospital for a medical exam. He was carted off the field after both teams’ medical personnel attended to him. On his way off the field, he pumped his fists and gave a signal to fans. Seahawks coach Pete Carroll, after the game, said Lockette will stay in Dallas overnight and said he’s encouraged by the preliminary results. Lockette laid motionless on the ground after the incident. Medical staff brought out a stretcher to take him off the field. Seahawks and Cowboys players gathered around him and many took a knee. Scary scene in Dallas. Seattle WR Ricardo Lockette is down after a collision during a punt. 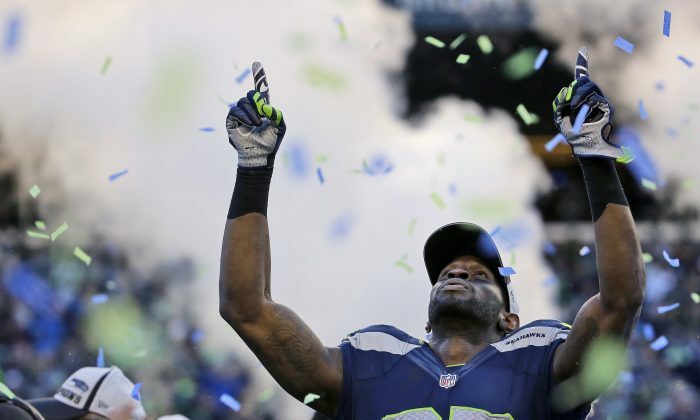 Prayers up for @RicardoLockette please. Love you bro!!! Ricardo Lockette down and lots of players rush quickly on field. Story is developing. Stay here for updates.